Hair transplant can be a life-changing procedure. 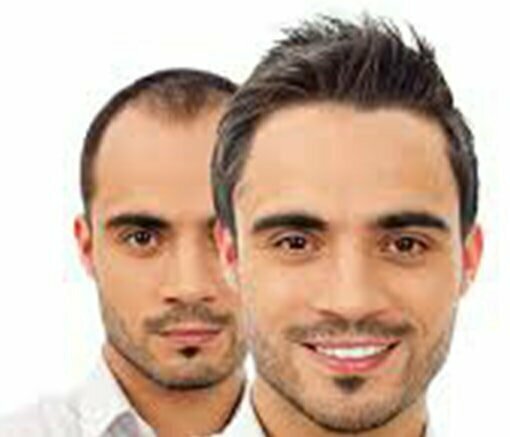 A full head of hair as a result of a successful FUE hair transplantation brings back youthfulness and confidence. Unfortunately, there are also plenty of horror stories and gruesome pictures when it comes to botched restorations. The good news is that a botched hair transplant can be easily avoidable. To help ensure you have a procedure that gives satisfactory results, we have outlined a series of important factors in finding a skilled and reputable surgeon. A number of factors can lead to unsatisfactory results, which range from unnatural looks and poor longevity to serious medical risks and humiliating skin damage. Almost always, they can be attributed to the inexperience of the physician. And the most alarming realisation is that some FUE (Follicle Unit Extraction) equipment companies are marketing their devices to plastic surgeons, dermatologists, med-spas and aesthetic clinics, who are unlikely to have the relevant training or certificates – let alone the necessary experience. So, let’s look into the major factors that you should consider before going ahead with a procedure. Despite hair restoration being a minimally invasive surgery, it is still a medical procedure that requires surgical expertise. Patients need medical monitoring and expert diagnostic knowledge to ensure their safety. Often, thousands of full-depth skin incisions are made, and appropriate knowledge and dosing of anaesthetic are vital. 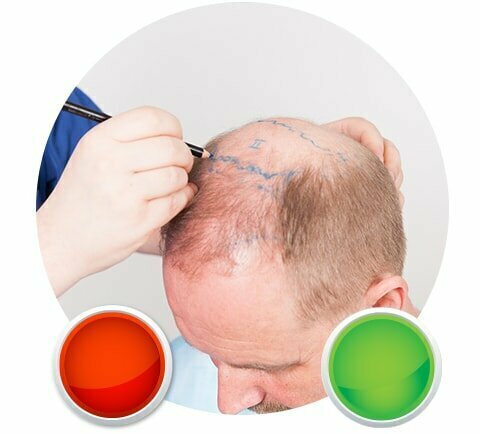 As your natural balding pattern continues in the years after the operation, you may need more than one transplant in your lifetime. With proper forward planning and design, a skilled surgeon can provide you with two or three successful hair transplants. The most experienced restorative surgeons will be those who work exclusively with hair transplants. Be sure to avoid clinics that dabble in numerous procedures. As the saying goes: a jack-of-all-trades, master of none! With something as important and personal as your appearance, you want to find the masters. A unique aspect of hair restoration surgery is the importance of the surgeon’s artistic eye. During a consultation, they will assess your hair type and growth pattern, envisioning the most natural hairline and flow. Then, with surgical skill and precision, they must transplant each follicle at the appropriate location and angle of growth, re-creating the dynamic and fluid nature of natural hair. To find a truly talented doctor, browse the before-and-after photos from their own past procedures. What to Consider When Searching for a Reputable Clinic? Look out for red flags, starting with your internet search and on into your consultation. Beware of false claims and advertising, such as hair multiplication/cloning or pain-free. Are you consulted by the surgeon himself? In all other medical surgeries, the doctor will consult with you personally. It shouldn’t be any different with FUE transplants. Do they specialise solely on hair restoration, or do they dabble in other procedures? Are you assessed for medical conditions that cause baldness? Are you a Suitable Candidate for Hair Restoration? Unfortunately, not all patients are able to benefit from FUE or FUT (Follicle Unit Transplant) procedures. Some medical conditions are the root cause of baldness, and transplanted hair will be affected in the same way as your previous hair. Such conditions include scalp disorders or inflammation at the donor site. Also, a successful outcome requires suitable hair density in the donor area. Those with large bald areas or low-density donor hair will be unlikely to achieve the results they expect. If you won’t benefit fully from FUE or FUT, other hair treatment methods can provide results, such as DHT hormone blockers (Rogaine, etc), and Platelet Rich Plasma therapy (PRP). Cost is surely a factor in your choice, but as you’ve seen it can be disastrous to go for a cheap option. A hair transplant is something that you will wear every day for the rest of your life. The best surgeons are highly sought after, and their clients take comfort in the security and aesthetic results of their choice. That said, it is also important not to be swayed by a high price; the other research we have discussed is the real indicator of quality. Because of healthcare costs, some countries tend to charge the most for hair restorations. As stated, price does not necessarily reflect quality, and you can benefit from the lower average health care costs in countries like Turkey, while still taking comfort in the surgeon’s expertise. Our hair is a fundamental part of our appearance and body image. It reflects our character and determines how people respond to us, and conversely how we interact with others, because of the impact it has on our self-confidence. A successful hair transplant can have a fantastic influence on our mindset in life. However, the opposite is true of a hair transplant gone wrong. Understandably, victims can succumb to stress, fall into depression and become reclusive. Physical side-effects include unsightly scarring, cysts, pimples, and itchiness. Now you know what to look out for to avoid such a nightmare for yourself. So long as you do your research and invest in yourself, you can have peace-of-mind in a trustworthy expert to transform your look. As Dr. Serkan Aygin Clinic, we place great emphasis on the well-being and health of our patients. If you are experiencing hair-loss and searching for a solution, you can always contact us and request a consultation.